A screen protector is one of the most important accessories you can buy for your phone, but the subtle curves along the edges of the screen on the Pixel 3 and 3 XL make it tricky to find the perfect fit. Google doesn't have a recommended screen protector on the Google Store — which they usually include for most of their phones — and I think that speaks volumes. I'd recommend the film screen protectors from Skinomi for both the Pixel 3 and Pixel 3 XL since they're easy to install, compatible with cases, and shouldn't leave you frustrated with bubbles or dust. This three-pack of tempered glass screen protectors for the smaller Pixel 3 is your best value. Because of the curved edges of the Pixel 3 display, it doesn't quite go right to the edge, but you should get good protection for your phone. 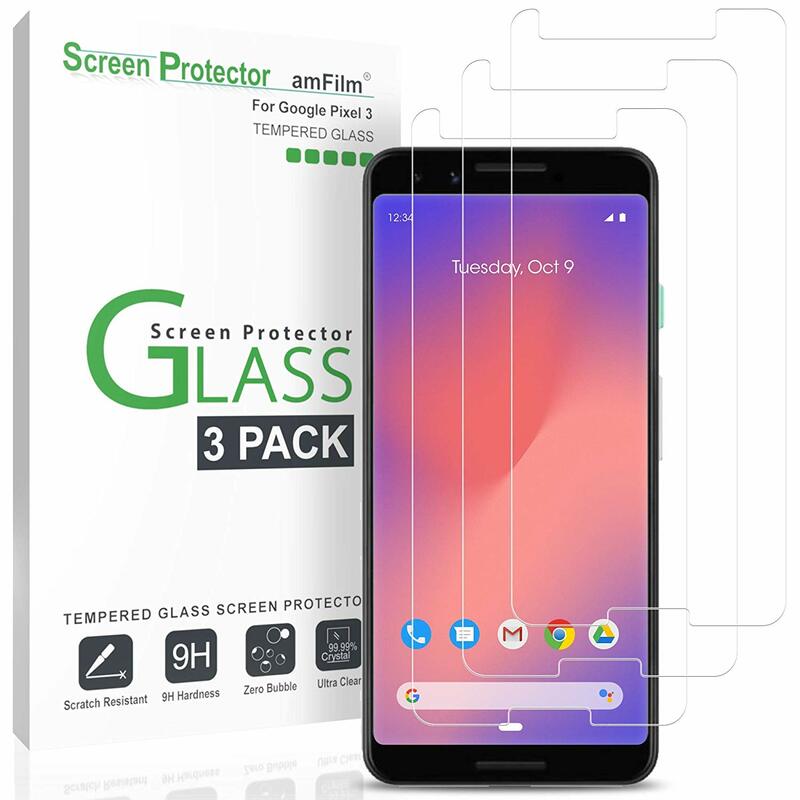 amFilm also offers a three-pack of tempered glass screen protectors that are also designed to be slightly smaller than the full screen on your phone to ensure that there's no bubbles or gaps along the edge. The user reviews are pretty solid and its always nice to have a couple spares on hand. If you don't want to risk the halo effect that comes with a tempered glass screen protector, check out this two pack of case-friendly screen protectors from IQ Shield. This is a flexible film that's designed to be easy to install and tough enough to protect your Pixel 3 from any scratches. Skinomi offers a wet-install film screen protector that's really easy to install on your Pixel 3. You get all the supplies you need for a perfect installation the first time, and you get a second one to give to a friend or use if the first one ever peels off. The biggest strength of Caseology's tempered glass screen protectors for the Pixel 3 XL is the handy installation guide that makes it dead simple to line up the screen protector perfectly on your phone. Just be aware that you might get that halo effect around the edges because the screen protector goes a bit over the curve. Tempered glass is probably not your best bet for protecting your Pixel 3 XL display, but you might get a good fit from this Mr Shield three-pack. Expect to maybe have to use all three to find the ideal fit, or just deal with the halo effect around the edge. A film screen protector isn't as good as tempered glass screen protectors in most situations, but it might be the better solution for the Pixel 3 XL. IQ Shield offers a two-pack of film screen protectors that includes everything you need for a bubble-free installation the first time. 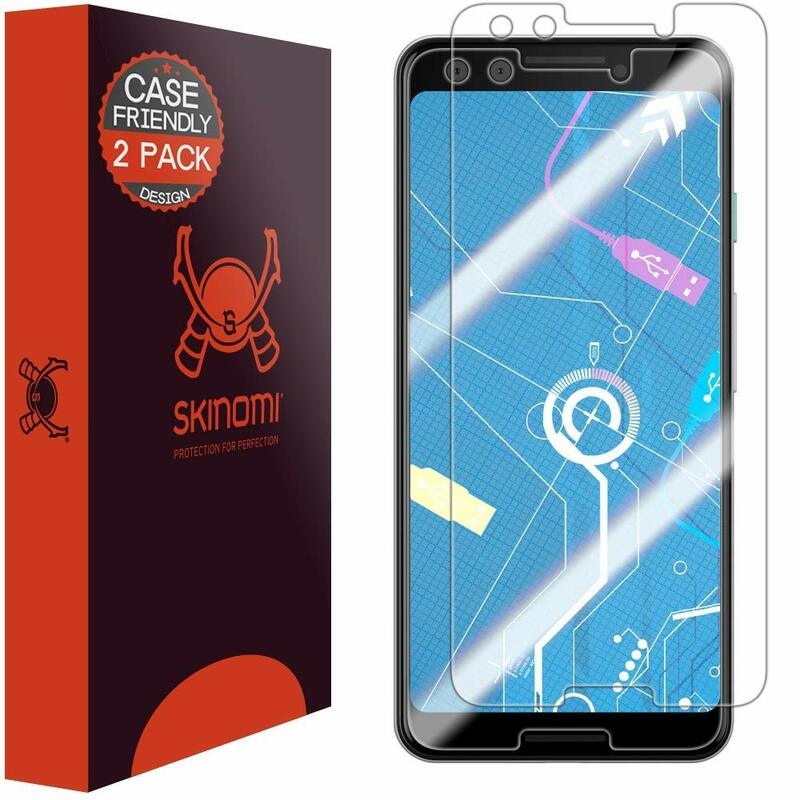 Last but certain not least is the Skinomi film protector for the Pixel 3 XL. Skinomi products are really easy to use and they're a trusted brand for screen protectors that you can rely on. Even if you have to settle for a film screen protector for your Pixel 3 or 3 XL, you'll be happy that it's there when you save yourself the heartache of scratching or cracking your phone's screen. Be sure to leave a review on Amazon of your experience, too, since that always gives valuable feedback to other customers and the company itself. Your best value for the Pixel 3 XL is the Mr Shield three pack of tempered glass for just $5, but keep in mind that you might deal with frustrating fit issues.